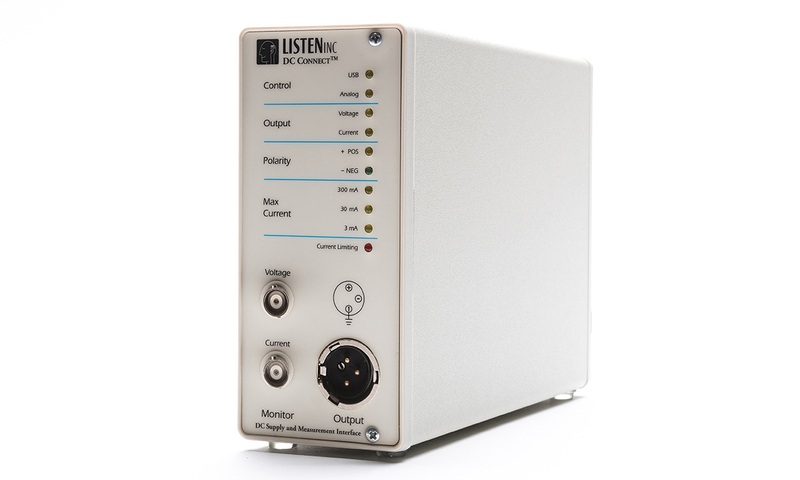 DC Connect – Listen, Inc.
DC Connect enables measurement of current consumption of battery operated and other low voltage devices such as hearing aids. DC Connect™ is a USB controlled precision DC power supply and current monitor. 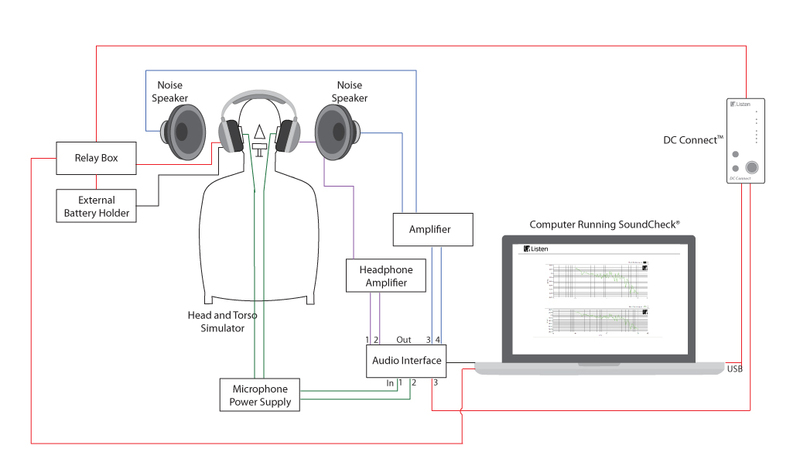 It enables high resolution dynamic measurements of voltage and current consumption in portable electronic devices such as noise-cancelling headphones, hearing aids, microphones, smartphones and other battery powered electronic devices. 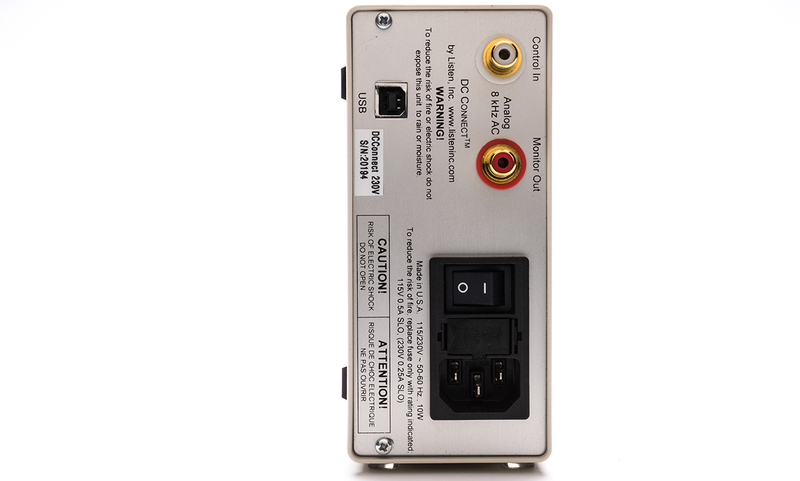 DC Connect is fully computer controlled via a USB port or via an AC voltage from an audio interface. 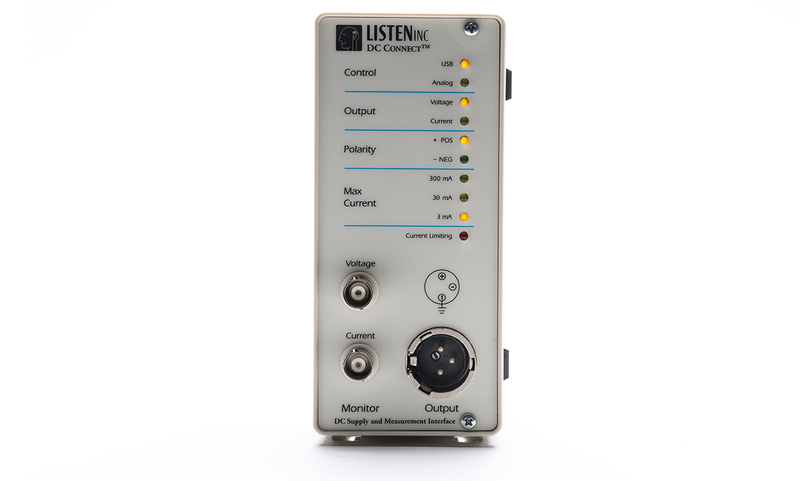 Used in conjunction with SoundCheck® electro-acoustic measurement software it enables current or voltage measurement to be synchronized to an acoustical source. 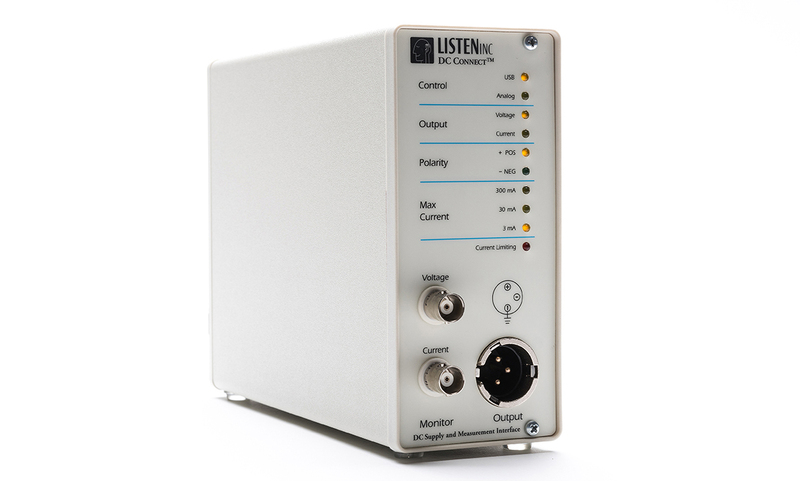 Since DC Connect can be fully controlled via the software, it greatly simplifies complex tests such as dynamic measurement of current consumption in portable electronic devices while continuously varying the frequency and amplitude of the signal. The output level can be rapidly changed by the computer, as may be required in fast, complex test sequences. It is ideal for both production line and R&D applications. Connection to the device under test is simple using a single XLR, TRS balanced connector. A monitoring output enables it to also be used as a stand-alone device. It can operate in 4 modes: DC voltmeter, DC ammeter, DC voltage source with current measurement and DC current source with voltage measurement.